This Tea Leaf Quilt designed by Sharon Holland of Sharon Holland Designs, The Pattern is available for free. "I've always admired this traditional quilt block called Tea Leaf. I love the movement of the block and have a thing for triangles in quilts. 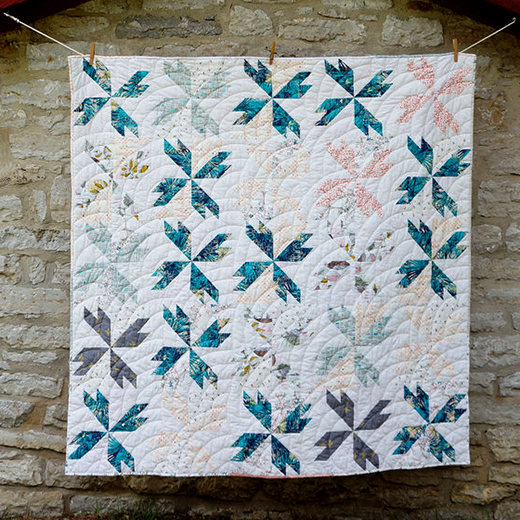 I also have a thing for leaf designs, so when it came time to make a quilt just for me--this was the one!"